The Writivism Literary Initiative is pleased to announce that its fifth anniversary special creative writing workshop is now open for applications. A project of the Centre for African Cultural Excellence, Writivism identifies, mentors, publishes and promotes emerging writers. The #Writivismat5 special creative writing workshop is convened in collaboration with the Northern Uganda Media Club (NUMEC) and the University of Bristol. It aims at creatively engaging young writers resident in the northern region of Uganda. This will be our first ever workshop as an initiative to be held in an upcountry town. So: are you working on a short story or did you, recently, or just have an idea for one? Are you a Ugandan, born between 1986 and 1999 and resident in the northern region of the country, with easy access to Gulu town? If your answer to the above questions is the affirmative, we are looking for you, and your original creative short fiction. The workshop, scheduled for July 17 – 20, 2017 will be facilitated by Jennifer Nansubuga Makumbi, author of the award winning Kintu novel and Let’s Tell This Story Properly, the short story, among other acclaimed works. Makumbi holds a PhD in Creative Writing from Lancaster University and has taught creative writing in various universities. Makumbi has also been a Writivism mentor since 2015 and a festival speaker in 2014 and 2015. After the workshop, each participant will be paired with an established Ugandan writer for a three month mentoring period. Following the mentorship, the stories will be copy-edited and proof read in preparation for the publication of the anthology. 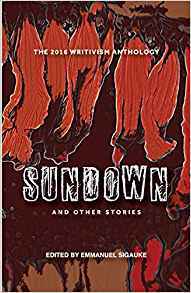 The anthology will be published in February 2018. The contributors to the anthology will then participate in a series of events to launch the book. Successful applicants are required to commit to participate in all stages of the programme, including the workshop, mentoring, publishing and school visits. A nominal royalty fee will be paid to the writers for their stories. We are looking for stories that are original, imaginative, and well written. We are looking to be shocked, surprised, and delighted with unexpected interpretations and renderings of the theme of conflict. A lot of literature that exists on the theme is stereotypical, predictable, conservative and mostly linked to development agendas. We are looking for short stories that challenge dominant narratives around conflict, stories that lead readers to question what conflict means. We encourage writers to interpret the theme of ‘conflict’ as broadly as possible. We are interested in as many kinds of conflict as possible. It does not have to be armed / military conflict, we would like to see explorations of class, family, gender, educational, environmental, cultural, resource-based, generational, sexuality, internal/self-focused and other conflicts. Even a conflict about there not being conflict is welcome. Even a conflict around the idea of a theme is encouraged. The theme should not limit the writer’s imagination, it should only guide, the mind should soar to uncharted territory. We are also interested in how the story is written. We would like to see exciting writing. We love stories whose style stands out. Indeed, through the literary devices the writer employs and how they handle their story, the reader can find edification on a theme they thought they had read enough about. We encourage writers not to sacrifice their writing style and flair at the altar of the subject of their story. The above should be in one document, in Microsoft Word format sent as an attachment. The email subject must read #Writivismat5 Workshop Application. The application materials should not be pasted in the body of the email. A cover email should be, instead. All applications must be received by 15th June 2017 midnight, Gulu time. Visit Writivism for more information. Email Heading: #Writivismat5 Workshop Application.